Specific aim: to create greater economic and employment opportunities especially for young people and women with a focus on urban areas, particularly Addis Ababa, in the most migration prone regions (Amhara, Oromia, SNNP, Tigray) of EthiopiaThe Embassy of Italy, assisted by AICS, requested UNIDO and ILO to conduct the socio-economic assessment (SEA) to identify potential intervention areas: Value Chains development, the most important sectors in terms of employment and GDP contribution and sectors with higher income and employment opportunities. To raise awareness of alternative livelihood options including safe migration It is funded with €40 million from the European Union Emergency Trust Fund (EUTF) HoA-Window and co-funded with €6 million from the German Federal Ministry of Economic Cooperation and Development (BMZ). It runs over a period of 3,5 years from April 2016 to September 2019 and it is implemented by a partnership of European and international organisations, coordinated by GIZ in a consortium with the British Council, Civipol, Expertise France, IOM, Italian ministry of Interior and UNODC. The project covers Djibouti, Ethiopia, Eritrea, Kenya, South Sudan, Sudan, Somalia, as well as Uganda , and can facilitate regional activities in Egypt and Tunisia (in bold: members of the Khartoum Process). The ultimate beneficiaries of BMM are potential and actual migrants, victims of trafficking and smuggling and other vulnerable groups such as children and women. Key to the programme is the alignment with existing mechanisms and initiatives of the African Union Commission (AUC) and the Intergovernmental Authority on Development (IGAD). For a list of relevant documents, please visit the website of the EU Trust Fund. The Migration and Mobility Dialogue (MMD) Support Project seeks to maximise the development potential of migration and mobility within Africa and between Africa and the EU and to provide comprehensive responses to migration and mobility, in full respect of human rights. The project is funded by the European Union and implemented by the International Centre for Migration Policy Development (ICMPD). It runs for 40 months over the period 2015- 2019, on an overall budget of €19.5 million (€18,506,520 from the European Union and €1,000,000 from the Swiss Development Cooperation (SDC)). Formally constituted at the Valletta Summit on Migration, held on 11-12 November 2015, the EU Emergency Trust Fund for Africa (EUTF) addresses migration crises in the region of Sahel/Lake Chad, Horn of Africa and North Africa, encompassing a total of 23 countries. The EU Trust Fund aims to support all aspects of stability and contribute to better migration management, as well as addressing the root causes of destabilisation, forced displacement and irregular migration, in particular by promoting resilience, economic and equal opportunities, security and development. The total fund equates to €2.5 billion – with €2.42 billion from different financial instruments under the EU budget and the European Development Fund, and €82.1 million from Member States and other donor contributions. Intergovernmental Authority on Development (IGAD) Free Movement (€10 million) to facilitate the free movement of persons in the IGAD region in order to enhance regional economic integration and development. SINCE (Stemming Irregular Migration in Northern and Central Ethiopia) (€20 million): enhancing the living conditions of potential migrants and returnees this project aims to address the root causes of irregular migration in the regions of Tigray, Amhara, SNNPR and Oromia. This will be done by prioritising the creation of economic opportunities and job skills for vulnerable groups, in particular women and the youth. 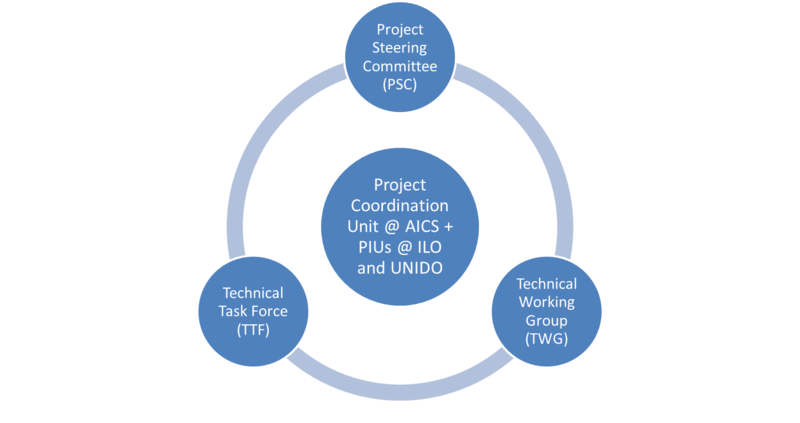 The project is being implemented by the Italian Development Cooperation (IDC). Health Pooled Fund (€20 million) in South Sudan. Better Migration Management (€40 million) aiming to improve migration management in the region, in particular to curb human trafficking and the smuggling of migrants. Strengthening IGAD's ability to promote resilience, by building its capacity to implement its regional resilience strategy more effectively, as well as at contributing to the upgrading of IGAD's administrative and financial systems, in line with international standards (EUR 5 million). Five Regional Development and Protection Programmes (RDPP) are implementing innovative approaches to improve the living conditions of Eritrean and Somali refugees (as well as other refugee groups) and their host communities. The actions will address the long-term development and protection needs of these groups (EUR 15 million in Kenya, EUR 30 million in Ethiopia, EUR 10 million in Uganda, EUR 50 million in Somalia and EUR 12 million in Sudan). Actions in Sudan aim to strengthen community resilience, social cohesion and peacebuilding in areas affected by flows of returnees as well as by internal displacement and refugees (EUR 13 million). In Ethiopia, interventions will improve food security and nutrition, access to basic services, livelihoods and Disaster Risk Management capacities (EUR 47 million). The North of Africa region of the EU Emergency Trust Fund comprises five countries: Algeria, Egypt, Libya, Morroco and Tunisia. These are important countries of transit and destination for mixed migration flows from sub-Saharan Africa, West Africa and the Horn of Africa. The EU, as reflected in the reviewed European Neighbourhood Policy, seeks to promote security, stability and prosperity, and thus contribute to the effective management of migration throughout North Africa. Countries in the region are primarily countries of destination and transit rather than of origin for migrants. For this reason, the actions undertaken in the North of Africa region through the Trust Fund will focus on Pillar III: improved migration management in countries of origin, transit and destination. This Trust Fund support to the North of Africa region is managed by the Directorate General for Neighbourhood and Enlargement Negotiations (DG NEAR). The Trust Fund envisages actions on a country, regional and cross-regional basis in close consultation and co-ordination with the relevant national authorities. In the North of Africa region, the Trust Fund aims more particularly to address five priorities for migration. For information on the Better Migration Management (BMM) project, please click here.